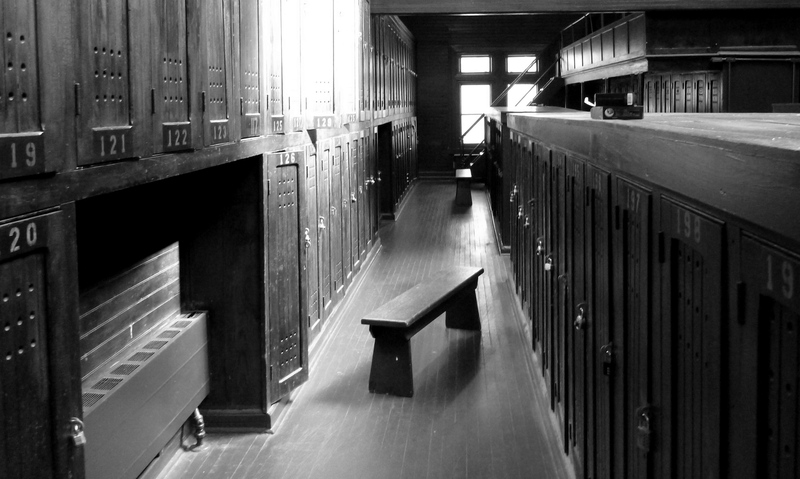 Sunday Morning Group, Van Cortlandt locker room, March 11, 2012. 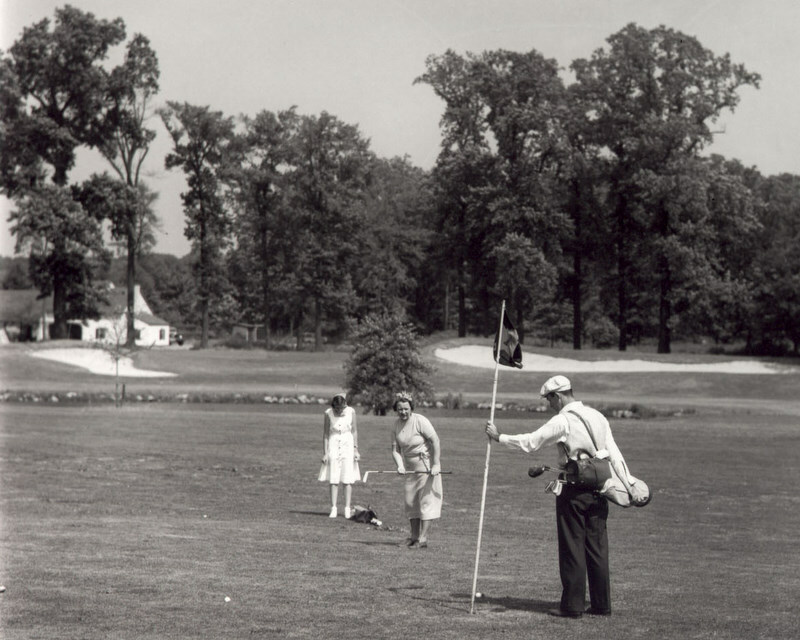 The original Van Cortlandt golf course was built for $642.80. 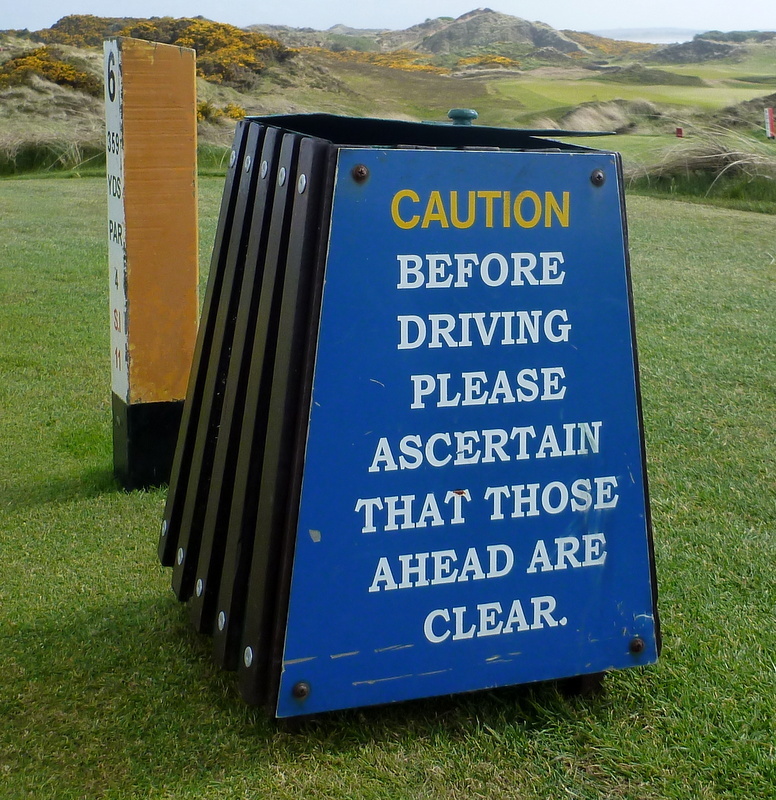 It had just nine holes, of which the last was more than 700 yards long. For a few years in 1960s, the city operated three ski slopes on the four short, hilly, quirky closing holes, at the southern end of the park. (You get to those holes by crossing under the Major Deegan Expressway, on a concrete walkway with tall fences on either side.) But now the golf course is just a golf course, even during the so-called winter. 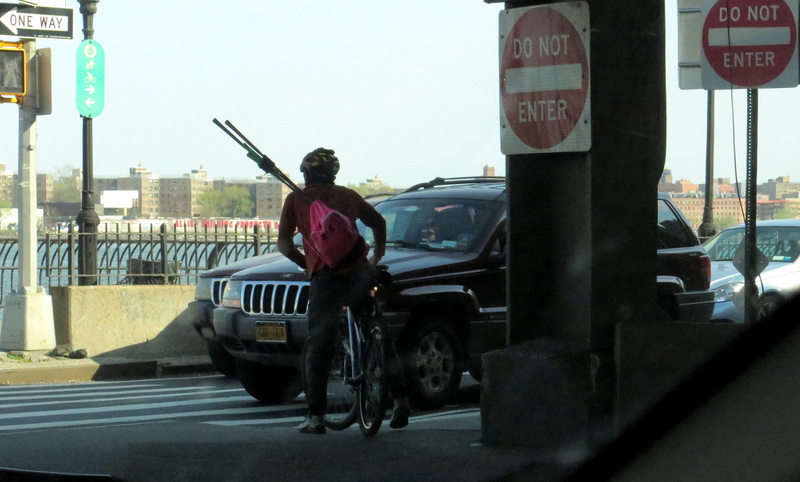 Emerging from under the Major Deegan Expressway, on the way to the fifteenth tee. 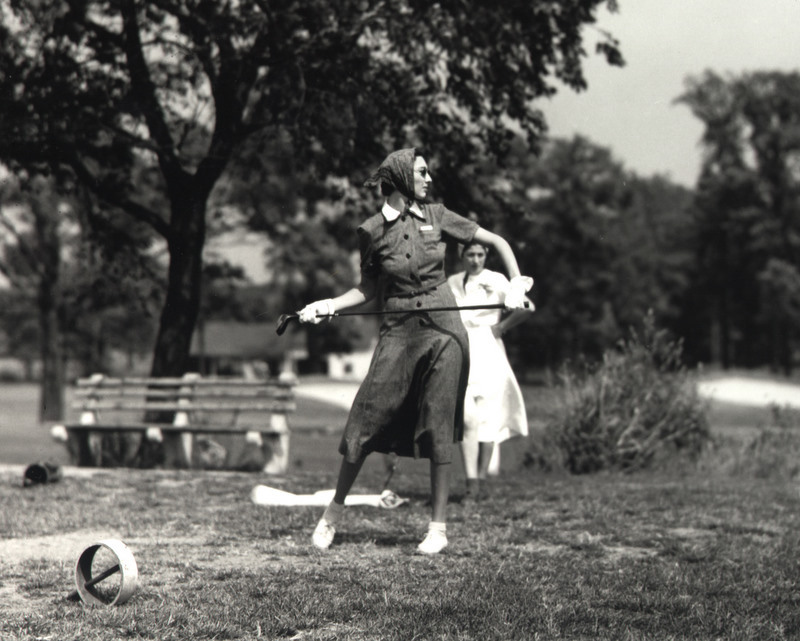 Van Cortlandt was originally known as the Meadows, and it was very popular, even though in 1895 hardly anybody in America owned golf clubs or knew anything about how to hit a golf ball. In 1899, Tom Bendelow—a 30-year-old Scotsman and former typesetter, who eventually designed 650 courses in North America—expanded Van Cortlandt to 18 holes. By 1920, according to the Parks Department, it was handling 5,000 players a week. 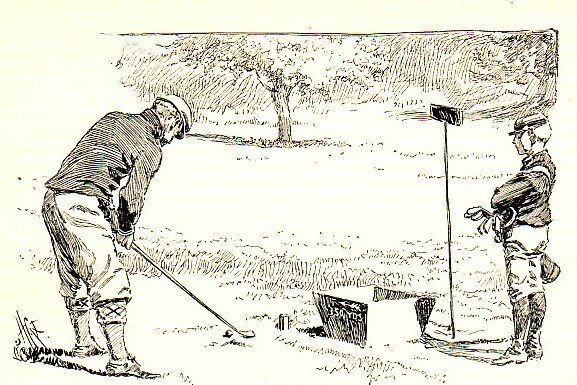 This is what golf in America looked like in 1895, the year Van Cortlandt opened. Bendelow’s design survived until the 1940s, when Robert Moses began building highways on top of it. Today, the course is divided into four roughly equal-size lobes. 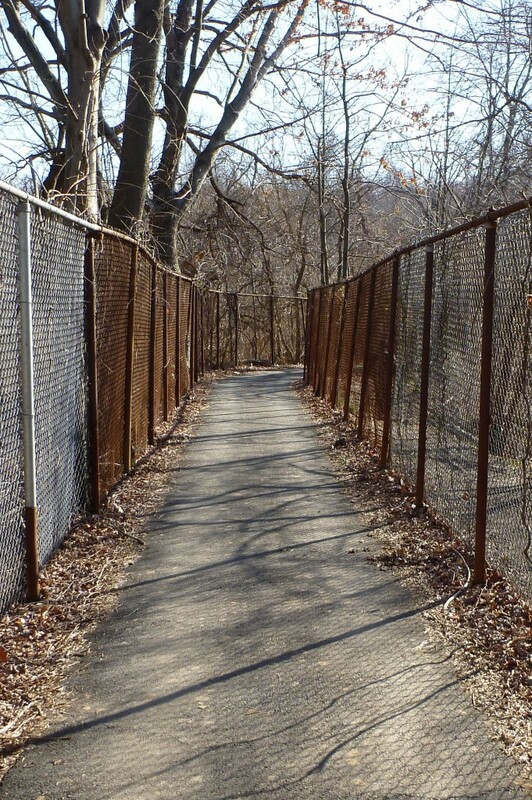 They are separated by two highways (the Major Deegan and the Mosholu Parkway) and a fence-enclosed swamp called Tibbetts Brook, which resembles the Dead Marshes in The Lord of the Rings, except murkier. 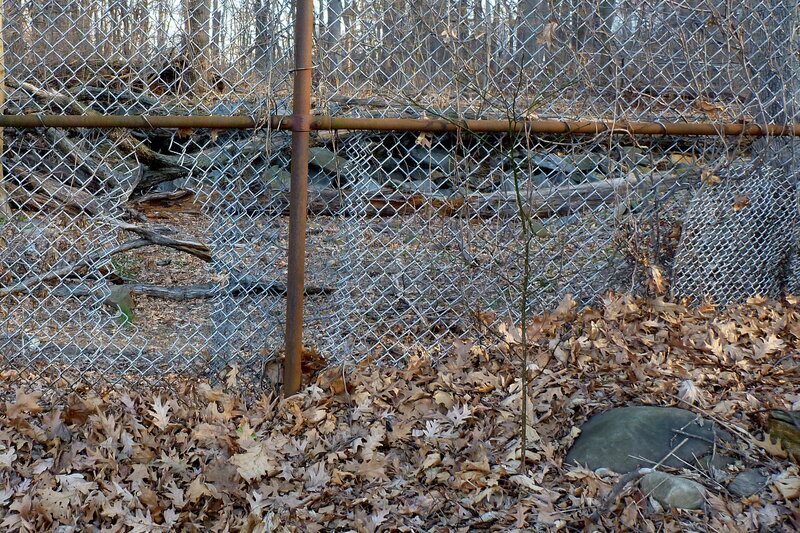 This way across Tibbetts Brook. On Sunday, the first of our three tee times was 7:56. That meant leaving home at a little before 6:00, which really meant leaving home at a little before 5:00, since daylight saving time had gone into effect overnight. And that, for me, meant getting up at what my brain still thought was 3:30. It was worth it, though—what else could I have done on a Sunday morning in March, except maybe work on my taxes?—and I was actually awake and waiting when my alarm went off, as I usually am the night before I play golf. My childhood home was at 1 Tibbetts Road, in Yonkers, and our property line was Van Cortlandt Park. 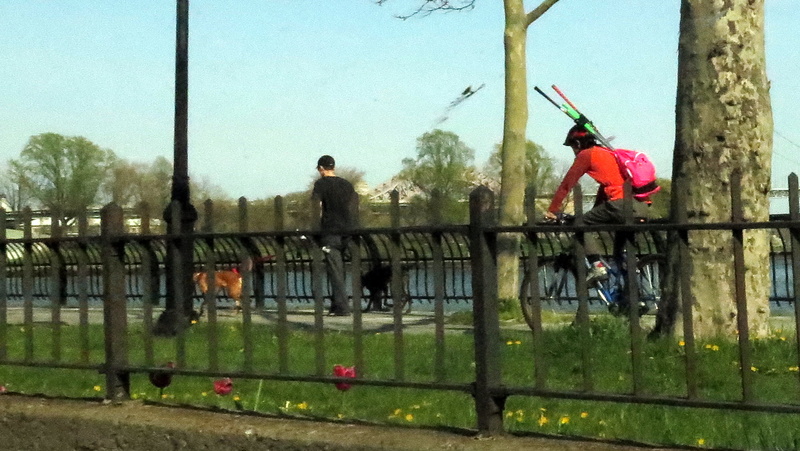 My friends and I used to cut holes in the chain-link fence near the fourth green and play the three holes on this side of the Major Deegan and Mosholu Parkway. We would steal the bamboo whips that the ‘parkies’ used to whip the dew off the greens, and occasionally we would also steal the flags, and we would sell golf balls. Since the approaches to some of the holes were blind, we could run out and grab balls that had just been hit and then sell them to the next groups that came by. We did all this while keeping an eye out for the parkies’ pickup trucks. When we saw them come rumbling over the hill, we would scoot back through the hole that we had cut in the fence, and then hide in the woods. The following day, the hole would be wired closed, so we always carried a heavy-duty wire-cutter in one of our golf bags. Of course, most of us had old bags, with hickory-shafted clubs. My house was about two hundred yards from the course. I’ve never paid to play at Van Cortlandt, and I’ve never played the holes on the other side of the highways. Ferris's fence, with a modern hole, just beyond the fourth green. You can read an old New Yorker article of mine about playing winter golf in New York City here. 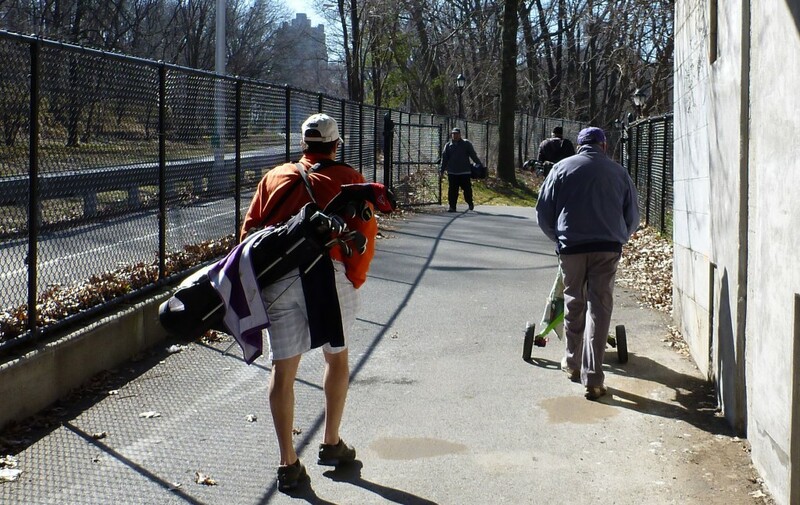 The photo below is of the line of golfers at the first tee as we walked off the fourteenth green, on our way to the holes on the other side of the Major Deegan. There were more golfers waiting in front of the clubhouse. On a warm winter afternoon in 2005, Hacker (real name) and I met at Clearview Park Golf Course, in Queens, for my second round of the day. (I’d played that morning at Van Cortlandt Park, in the Bronx.) The temperature was close to fifty degrees, and the course was packed, mostly with Koreans, who are probably the second most golf-addled ethnic group in New York, after the Irish. The starter, who was also Korean, paired Hacker and me with two Korean men. One of them turned out to be the retired owner of a Manhattan wig shop. He told me that his clientele had included many famous actresses, among them Nancy Sinatra and Ann-Margret, but that actresses are undesirable wig customers because they don’t like to pay. The best customers, he said, are strippers, who favor huge blond wigs and don’t care what anything costs. We finished our round just as a very orange sun was setting beyond Manhattan, and we watched endless ribbons of white and red car lights unspooling across the Throgs Neck Bridge, which looms over the northern end of the course. Six days later, it snowed again. The photos above and below were taken at Clearview in the thirties or forties. 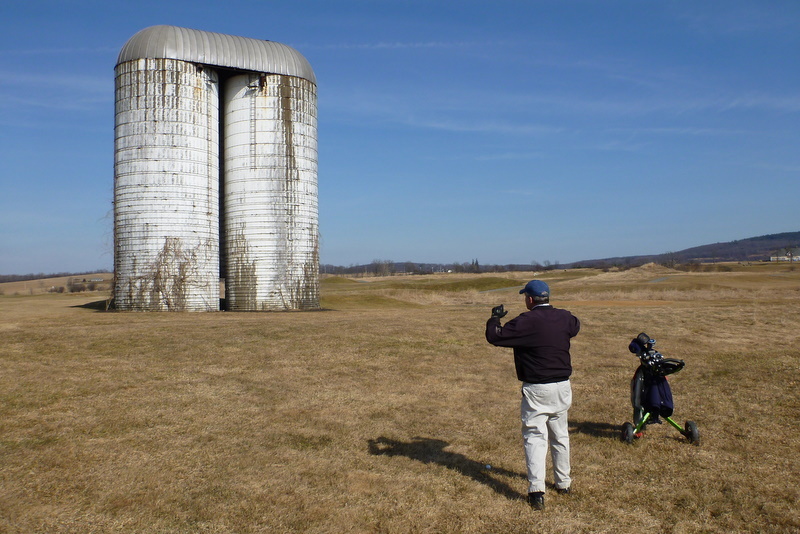 The weather in the Northeast this winter has been unusually warm, creating unexpected golf opportunities. 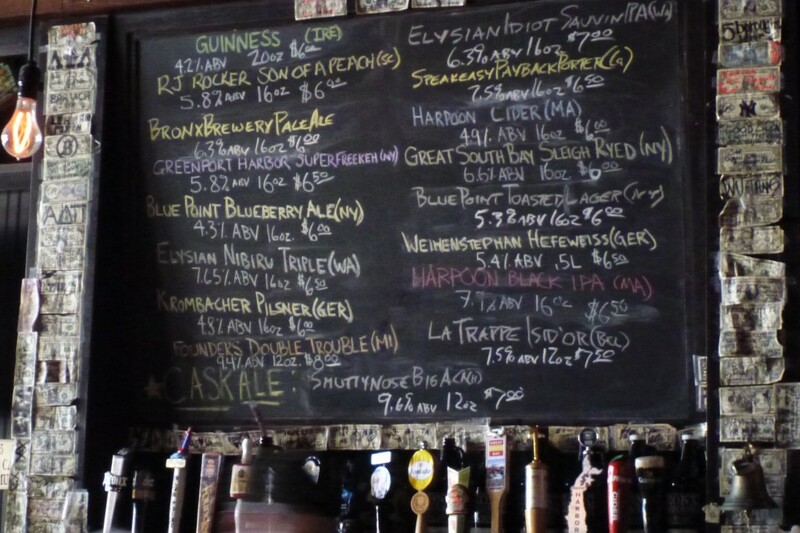 My home club stayed open until New Year’s Day, a record, and a few courses in our area haven’t closed at all, or have reopened. The other day, my friend Hacker (real name) and I played a round at the Links at Union Vale, in Dutchess County, New York. 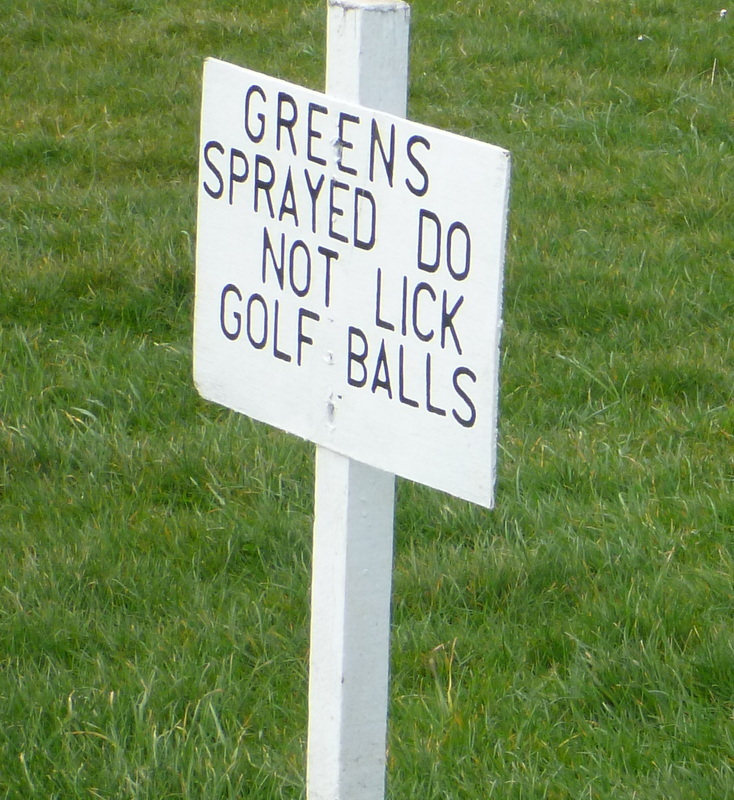 The Links was founded in the late 1990s by a group of Irish golfers from the New York metropolitan area. They were fed up with the summer crowds on the city’s public courses (of which there are a dozen) and decided to build a place of their own within weekend commuting distance. Roughly eighty of them bought shares, at ten thousand dollars apiece. They found two hundred acres of cattle-grazing farmland seventy-five miles north of Manhattan, and they hired Stephen Kay and Doug Smith to design a course for them. The investors knew of Kay because he had done some work on the bunkers at Van Cortlandt Park, in the Bronx—the first public golf course in the United States, founded in 1895—and because he had designed an Irish-style course, called the Links of North Dakota, that they liked very much. For the Union Vale investors, Kay and Smith built a very passable imitation of an Irish links course, and they did it for just $2.5 million—a pittance nowadays. Bull’s Bridge Golf Club, a private course that Hacker and I passed on the way to and from Union Vale, was founded at about the same time. It cost more than $20 million; has been threatened with bankruptcy on a couple of occasions; had a $1.4-million lien placed on it by its architect, Tom Fazio; is still making do with a temporary clubhouse; and costs more than a hundred thousand dollars to join. 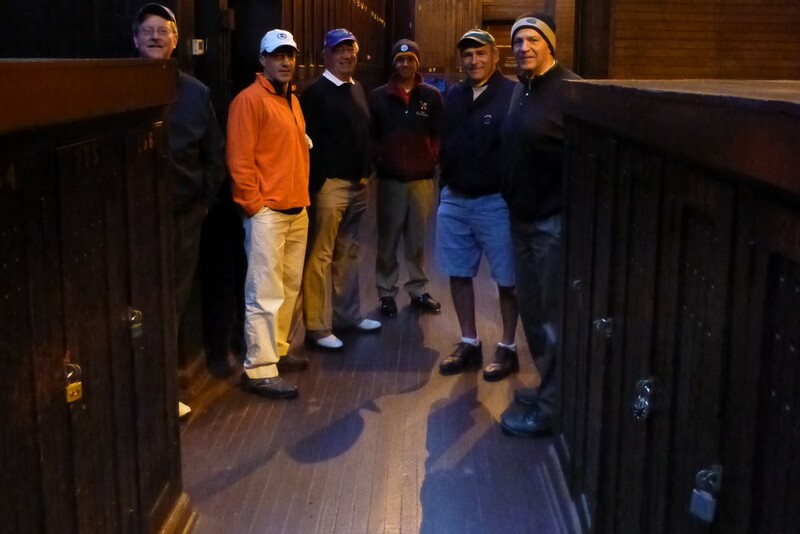 The original investors in the Links, who represent various Irish golf associations in and around New York City, allow themselves preferential tee times and charge themselves reduced fees, but their club is open to everyone and their clubhouse is well stocked with Guinness. That’s Hacker in the photo above, stuck behind an old grain silo on the fifteenth hole.